Over the years, the World Health Organisations(WHO), has been echoing the slogan “health for all”, At a certain stage, People in different countries became so familiar with this slogan that many seem not to take it serous any longer. But in this report, Ebere Nwoji who was at the 2nd WHO Africa Health Forum reports that the WHO Africa Regional Office is more than ever determined to achieve in practical terms universal health for the African people through various strategies. Irked by the continued loss of lives in Africa to both communicable and non communicable diseases and the quantum of economic losses this has translated to the GDP of its 47 member countries , the World Health Organisation(WHO) Africa regional office, seems to have in more practical terms put on its thinking cap in search of solution to the perennial out break of diseases in various countries with the aim of achieving universal health coverage and health security for all in the continent and ensure delivery of quality health care services to the people of Africa. Indeed, WHO Africa regional office, from all indications, is no longer at ease with the rate at which not only communicable and non communicable disease also joint efforts of parasitic diseases , maternal, neonatal and nutrition-related conditions; are fast draining from the continent the much needed life,health and strength of its citizens, a situation which is fast affecting the productivity of each country and has translated to loss in GDP of the economy. The regional body in its recent statistics released after a study titled “A heavy burden, the productivity cost of illness in Africa” stated that on yearly basis, Africa , loses over $2.4 trillion from its GDP to diseases afflicting its 47 member countries. WHO, said out of the above losses, Five countries Namely Nigeria, the Democratic Republic of the Congo, Ethiopia, South Africa and the United Republic of Tanzania accounted for almost 50% of the total years and amount lost in healthy life . This cuts across demographies in the continent age, countries both rich and poor countries. In recent years, recent outbreak of diseases like Ebola in Liberia and Republic of Congo claimed no few lives, Laser fever and Yellow fever did not spare Nigeria and few other African countries while Cholera, river blindness and their senior partner HIV virus has caused mayhem in the continent. Recent predictions by scientists said in the next 10 years, Nigeria’s huge population will be depopulated by water related disease and according to the prediction more and more countries in the continent will be ravaged by the water diseases. Against this backdrop, the regional body, in line with the aspirations of the United Nation’s targeted year 2030 sustainable development agenda launched in 2015 which focuses on ensuring the attainment of equitable sustainable development with health as outcome of a development intervention is earnestly searching for programmes,strategies, initiatives partnerships and collaborations both internally and with the outside world to enthrone a regime of universal health services to all and sundry in the region. One of these initiatives at achieving the above which the regional body came up with in 2017 was the WHO Africa Health forum which Maiden Edition was held in Kigali, Rwanda, in 2017. Through the forum which lasted between March 26 to March 28, the WHO Africa regional body, was able to assemble health ministers of member countries of African Union, health experts from both private and public sectors, innovators in health service delivery, finance development partners, UN agencies, civil society organisations, Non governmental Organisations , heads of state of African Union and other relevant bodies to x- ray workable solutions for more effective health security governance , for strengthening health systems and for ultimately delivering Universal health coverage. Through the forum, the regional body also targeted at kick-starting new partnerships for improving people’s health across the continent. The regional body, said its target in the initiative is to see a brand new Africa full of healthy people and a healthy and new Africa ready to meet emergency health challenges and a new Africa devoid of prevailing diseases that have been a torn in the flesh of the citizens both in developed cities and rural areas. 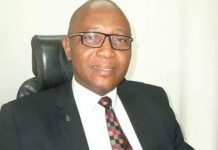 At the forum,WHO Regional Director for Africa, Dr Matshidiso Moeti, said against the current backdrop of 50 percent of Africans having poor access to quality health care, the regional body, has lined up programmes and innitiatives to address a growing number of disease outbreaks in African countries like Nigeria, Zimbabwe, Mozambique Malawi among others. 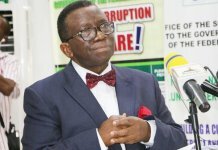 WHO, said in Nigeria in particular, it will focus attention on fighting against further outbreak of Laser fever and yellow fever which has take good number of lives in the country while in Zimbabwe and Malawi ,its concern will be more on river diseases like cholera, river blindness . Who said this has become necessary because it has observed that 50 percent of children under five years die of cholera as a result of cholera outbreak every year in subsaharan Africa. She said Africa’s health challenges have become increasingly complex and needs to be addressed. “African health challenges are becoming complex with continent facing growing number of outbreaks and dual challenge of communicable diseases,and chronic illnesses. 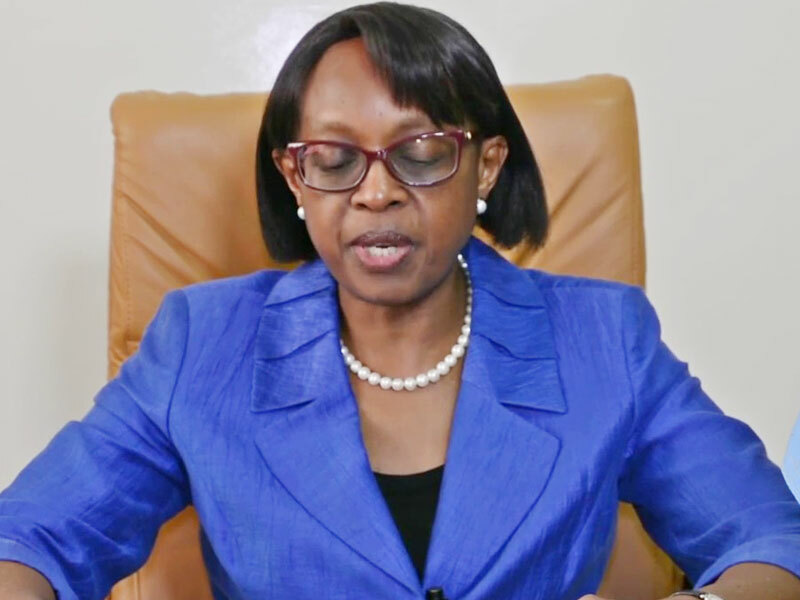 We cannot continue business as usual with 50 percent of Africans having poor access to quality health care today, there is urgent need to further improve heath systems across our continent so that even in the most remote rural areas, communities, can have access to health care services,” She stated. “We know why universal health coverage is important. This forum is about determinating how we can get there and also elevating the continent health security. When I say working with our partners I mean current partners and new partners. The forum also provides opportunities for new partners, initiatives and programmes are formed to change situations on ground”. One of the major things achieved in this year’s edition of the forum was that it brought together innovators in the health sector from different countries together to showcase their inventions. Some of them young university graduates brought to the forum vaccines they have produced for various diseases especially skin related diseases, sexually transmitted diseases and gadgets for laboratory tests. One of the innovations, Papes, a digital pathology platform for automated diagnoses and classification of cervical cancer from pap-smear images was invented by a young graduate from Uganda. According to the Ugandan graduate, the digital pathology platform is a low cost digital microscope slide scanner to produce quick, reliable and high resolution cervical cell images from Pap-smear slides that can be analysed automatically. Another innovation from a young Nigerian female pharmacist tagged Mypaddy is a scientific system that connects young people with quality and youth friendly information about their sexual and reproductive health anonymously, it also enables them chat with their doctor at their private and comfortable position. Another innovation, African Character initiative programme (ACIP) is also targeted at educating the youths to stay healthy and alive through lifestyle. INCAS DIAGNOSTICS, developed by a young Ghanaian medical doctor is a molecular test that is able to diagnose skin disease called yaw in children. The technology, according to the inventor, Laud Anthony Basing, is low cost and needs only a water bath and gives the user result in 30 minutes. Having examined the products of these young African scientists at their various stands at the forum, Moeti, said the African regional body needs the partnership of these innovators, private investors in health care services to deliver quality service to Africans. She said the world bank is working out a modality to encourage local banks to assist them with loans to develop their initiative Moeti, however regretted that biggerAfrican countries who need to devote greater part of their GDP and annual budgets to health are lagging behind while smaller countries are seen making greater impact .She said against this backdrop, there is need for private public partnership in the area of health to provide quality health care services across the continent. “As a target of Sustainable Development Goal, three universal health coverage would require countries in the WHO African Region to spend, on average, at least $ 271 per capita per year on health, or 7.5% of the region’s gross domestic product.”, Moeti said. Referring to the United Nations Conference on Trade and Development estimates, the WHO African regional boss noted that attaining the 17 Sustainable Development Goals by the region, will require spending ranging from $ 1.5 trillion to $ 2.5 trillion per year until 2030, or up to $ 37.5 trillion. She said low-income countries will need an additional $ 671 billion dollars ($ 76 per capita on average) until 2030 to attain the health-related Sustainable Development Goals (SDG). “To achieve the health-related SDG targets, countries,must invest adequately in the development of resilient national and local health systems to effectively, affordably and efficiently deliver the integrated packages of proven cost-effective interventions contained in relevant programmatic global strategies and plans to target populations in need. She said report from findings of the WHO study on disease burden has suggested that health systems strengthening should focus on rich as well as poor countries and on all ages as well as on the specific disease categories adding that achieving the Sustainable Development Goals by 2030, including the target of universal health coverage, will require political will and greater focus on government-led planning and financing for health. “It will also necessitate greater outlays from public revenue, reforms to raise additional revenue and strategic purchasing mechanisms. And it will require that people usually left behind be put at the centre of health financing reform. Moeti said Cape Verde has emerged one of the African countries that has gone far in the provision of quality health care services to its people and has achieved the universal health care services. A walk round some government owned health centres and hospitals confirmed the claim by the Cape Verde president that the country since independence has invested substantial part of its hard earned resources in health sector. A visit to its dialysis center showed that the center is competent in caring for renal patients with all needed equipment in place and the dialysis done free . 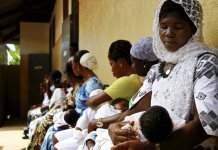 Also at the maternal department of the Cape Verde General hospital, women donate free breast milk for motherless babies and babies whose mothers’ breasts do not flow as well as premature babies.the donations by the women are also done free. According to the Director, breast donation service of the hospital , Feenanda Azaneoth, the department receives about 15 free breast milk donors a month. The donors said the first four days of the breast milk press out were very painful they however said they do it with joyful bearing in mind that it is their own effort to help keep children alive. The Cape Verde Minister of Health and Social Security, H.E. Dr Arlindo Nascimento do Rosário president Jorge Carlo, other participants at the forum suggested way forward for achieving Universal health coverage by other African countries. According to them, African countries should continue to strengthen national health systems focusing on the primary health care strategy as the preferred pathway to achieving UHC as reiterated on the Alma-Ata declaration of 1978 on primary health care ensure active community participation in deciding and monitoring the effect of health initiatives. They should prioritise initiatives from communities, facilities and districts to build the resilience of health systems to ensure sustained provisions of essential services support the expansion of health promotion, disease prevention, curative, rehabilitative and palliative interventions particularly for the population that are currently left behind. Proactively support the generation of data and statistics needed to monitor progress towards universal health care in member states and make adjustments as necessary. engage with and ensure the meaningful participation of the citizenry including the young, women and other vulnerable groups in the development of health policies affecting their health and wellbeing support local and community structures to address the determinants of health and health inequalities to ensure that no one is left behind. Invest in gathering and using the strategic information needed for advocacy, planning and monitoring of programs of adolescent and youth health. Work to reduce policy barriers that limit access for young people and other vulnerable groups to health and information services. – support private and public sector investments in health promotion and primary prevention, provide evidence based guidance that supports health insurance choices and interventions while applying the WHO frame work of engagement with none state actors.